Single Searcher is your facebook searchengine to find the big love. 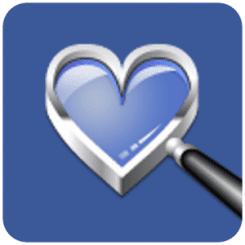 Search at facebook for single-women and single-men in your area. You can select the age, the location and the gender of your search. Single Searcher shows you the relationship status of all your facebook friends. Look at all profile pictures and start a flirt by switching directly to the facebook app. Single Searcher needs no registration and no account. That is an huge advantage in comparison to other dating or flirting apps for singles. To use Single Searcher on your android smartphone, you must have the facebook app installed and login to facebook. By starting the Singles search for the first time, you must allow Single Searcher the access to facebook. Don't wait for amor! Use Single Searcher and start flirting, dating or even a hookup.